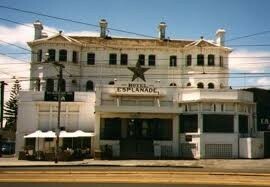 For over 100 years the Esplanade Hotel has been Melbourne's (and indeed Australia's) premier live music venue. Since the early days of string performances in the late 1800s The Espy’s hallowed stages have been graced by the finest performers from around Australia and the world. Truly a physical landmark in St Kilda, and a cultural icon to Australia, the Espy continues this long standing tradition of live music, on an average week the pub plays host to over 50 bands and DJs across 3 stages 7 days a week and a lot of it free. The Espy has three permanent stages; The Front Bar / Lounge, The Gershwin Room, The Public Bar are the main performance areas. The Mezzanine level, usually used as a dining area for the kitchen can be reconfigured in a multitude of ways, it’s large windows which overlook the Lounge can be opened to create an extra viewing area for this room or a DJ console can be brought in to create a fourth music area at larger event. 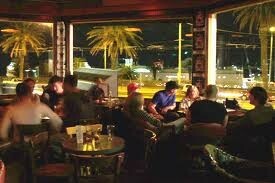 There are six bars located through the venue, roaring open fires through winter and plenty of toilet facilities. Dress Code Policy - No track suit pants, No Steel Cap Shoes/Boots pretty much anything else respectable is fine.